We're not one to flaunt about our services personally, but rather we defer the opportunity to our customers who perform the ostentation for us. 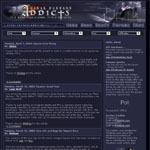 We at FFAddicts.com have found that your company has been a fantastic hosting service. The pricing is better-than reasonable for the services we gained. Your tech support has been phenomenal and the speed of your service is amazing. Keep up the good work! The best aspect of Apis Networks is the customer support. I'm fairly decent with webpages and managing my own, but recently had a few problems understanding the differences between my own URL and the Geocities/Angelfire ones that I was used to in the past. Matt at Apis was great. He helped me set up my team website and get used to the new system. He also informs me regularly of many new improvements (some of which leave me clueless, but the more important ones made my everyday managing of the site easier). Apis is the way to go if you ever plan on needing customer assistance (fast customer assistance), which I'm sure you will on the internet at some point in time. Never have myself or any other member of staff at Radical Gamers encountered a Web host as helpful, dedicated, friendly or reliable as Apis Networks. Matt at Apis is the most dependable admin in the industry. No request is too much hassle, plus he is always around. The service Apis Networks offers is unmatched: fast servers, features that are leaps and bounds ahead of other hosting companies, and as reliable as hosting gets. Even during our transition from the previous Web hosting service, they helped to ensure we would incur minimal downtime and confusion during the movement. With Apis Networks, we feel safe to swear no more database failures, no more network outages, no more shoddy customer support and no more "the server just doesnt have the resources/features to do that". Being a student, affordable hosting is very important to me. Prices I have be quoted for php and mysql in New Zealand would have cost about 60NZD a month (roughly 30USD), which for me is difficult to pay. Here however php and mysql are standard so I can afford to run such seemingly simple tasks as forums and phpnuke, without having to buy the super-duper account with all the extras. [Apis Networks] set me up very quickly and my site was up in about an hour. The few odd requests I had were met without as much as blink of the eyelid. Even though there have been some minor problems (mostly my fault), such as when I formatted my computer and backed up everything but my email containing my login details, it's been great and I wouldn't change a thing (even including the time leechers sucked 7 GB in a week). Apis Networks has brought a whole new perspective to our world. I know we may be a simple wrestling website, but Apis Networks has made hosting so easy. The easy-to-use interface on creating, editing, and adding users is very handy. I love the customer service, bar none. 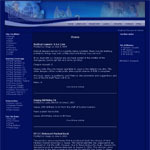 They continually update their services and their apnscp makes Internet hosting easier than ever before. I cannot even begin to explain how greatly priced it is. For the cost you pay, you get ten-fold the quality and functionality you would not be able to find elsewhere. Got a testimonial you want featured? Contact us!